Santa Eurosia is a family business founded in 1981. 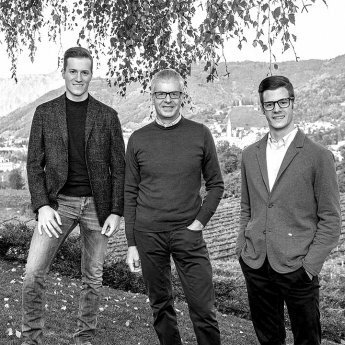 The winery was born in San Pietro di Barbozza, in the heart of the Valdobbiadene DOCG and Superiore di Cartizze, an extraordinary land foundation of our philosophy of life. The choice of the name comes from the area close to the Company, which has always been known with the name Santa Eurosia. A short walk from the winery is in fact the little shrine dedicated to the martyr of Bohemian origin, canonized in Jaca in Spain, on 25th June in 882. It invokes against storms, lightning, hail and also for the fruits of the earth. The effigy of Santa Eurosia has become the company’s trademark and can be found on all production labels. "For over thirty years we have been constantly pursuing quality and at every harvest we try to obtain the best results by being passionate about carefully processing the produce our territory offers". 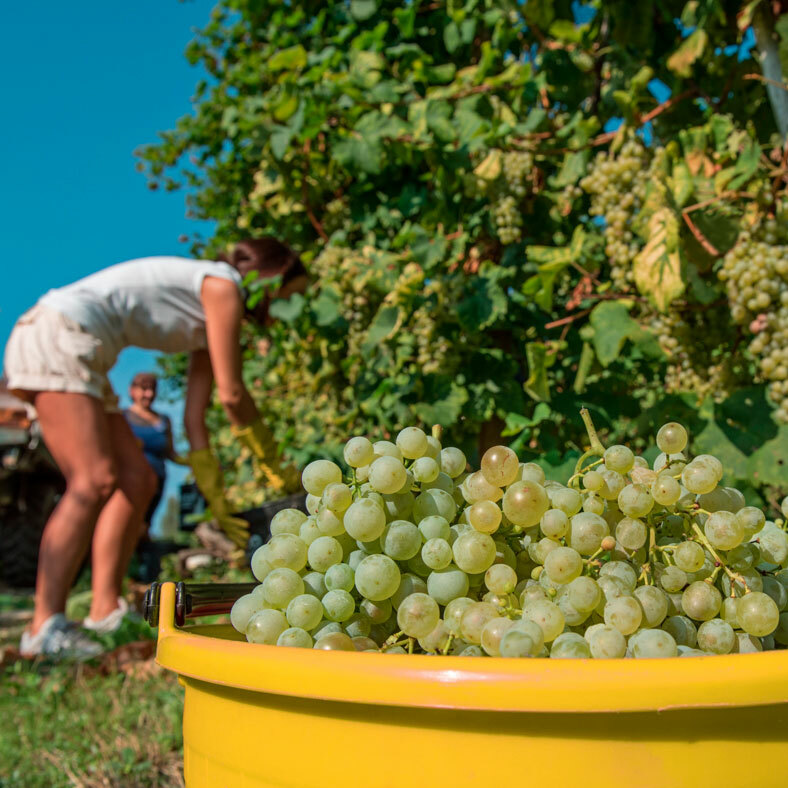 We select the best batches of grapes, coming exclusively from the Valdobbiadene hills and from the neighbouring municipalities of the Denomination of Origin, to give life to the products with Valdobbiadene DOCG Prosecco Superiore and Prosecco DOC Treviso Denominations of origin, and the Santa Eurosia brand. We cooperate with 25 families of winegrowers, to select the excellence of the territory, in order to combine the characteristics of a great variety of vineyards. Grapes are harvested only by hand, with the purpose of preserving their qualities, and then are gently pressed to extract the juice. 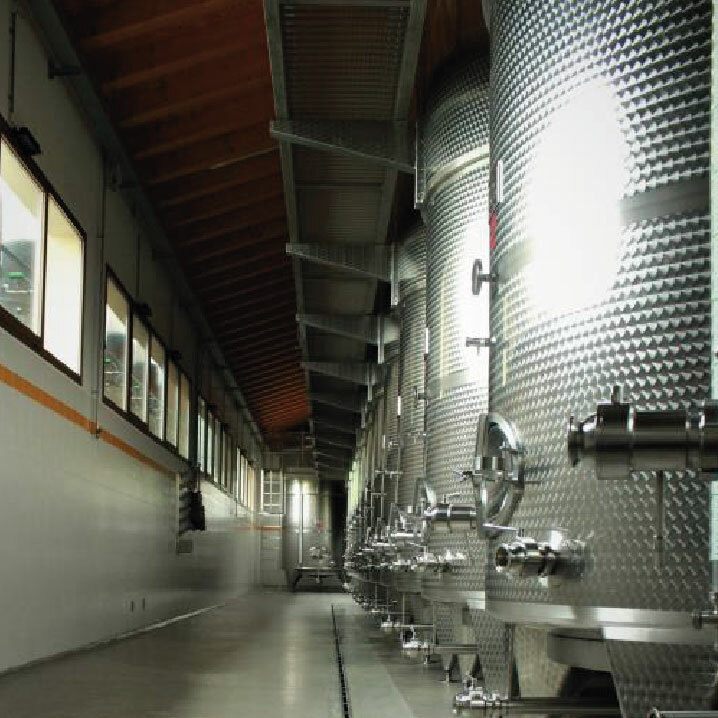 All our sparkling wines are subjected to a long process of primary fermentation, at controlled temperature, in stainless steel tanks. These measures are essential to preserve the integrity of the grape juice and to obtain the highest level of quality, with fresh and intense aromas. Nevertheless, it is only with the secondary fermentation that the wine gets sparkling, and acquires its peculiar characteristics and complex bouquet, thanks to 40 days of 'prise de mousse' in autoclaves, i.e. airtight stainless steel tanks.